The soloist, Pierre Hantai, is a member of a talented French musical family who studied first with Arthur Haas, then with Gustav Leonhardt. His approach to the Goldbergs is tremendously spirited and energetic but also disciplined. What I like most of all about this playing, though, is that Hantai clearly finds the music great fun to perform. Some players have been too inclined to make heavy weather over this piece and I have sometimes been driven to despair by the seriousness with which the wonderfully unbuttoned Quodlibet (Var 30) is despatched. Hantai makes each and every one of the canons a piece of entertainment while in no sense glossing over Bach's consummate formal mastery. Other movements, such as Var 7 (gigue) and Var 11, effervesce with energy and good humour. Yes, this is certainly the spirit which I like to prevail in my Goldberg Variations. But, as I say, Hantai is careful to avoid anything in the nature of superficiality. Not for a moment is the listener given the impression that his view of the music is merely skin deep. Indeed, there is a marked concentration of thought in canons such as that at the fourth interval (Var 12). Elsewhere, I found Hantai's feeling for the fantasy and poetry of Bach's music effective and well placed (such as in Var 13). Igor Levit’s late Beethoven sonatas (11/13) and Bach Partitas (10/14) on Sony Classical have already made bold declarations of his pianistic and artistic prowess. Now he confirms his appetite for the big entrance with three monuments to variation form, each rooted in its own century, yet all united by the harnessing of maximum variety, maximum discipline. Levit will be stuck for some years to come with the epithets ‘young’ and ‘Russian-born, German-trained/domiciled’. But the instant he touches the piano such information becomes irrelevant. Certainly he can muster all the athleticism, velocity and finesse of a competition winner ready to burst on to the international scene. But like the rarest of that breed – a Perahia, say – his playing already has a far-seeing quality that raises him to the status of the thinking virtuoso. There is, if you care to rationalise, a Russian depth of sound and eloquence of phrasing, tempered by Germanic intellectual grasp. There is also a sense of exulting in technical prowess and energy. But not once in the course of these three themes and 99 variations did I feel that such qualities were being self-consciously underlined. Levit’s musical personality is as integrated and mature as his technique. And both of these are placed at the service of the music’s glory rather than his own. A famous response to Gieseking’s playing as being “like Monet in Giverny” was made with reference to his legendary Debussy performances. Yet although Gieseking’s phenomenal aural sensitivity earned him a unique reputation in French piano music, his repertoire was all-embracing. This included the concertos of Tchaikovsky and Rachmaninov and, in 1930, he gave a New York recital entirely devoted to contemporary music. All the more reason then to celebrate Naxos’s release of Gieseking’s Bach and Beethoven in recordings dating from 1931-40, made when this unique artist was at the height of his career. Here you will search in vain for the sort of muddles or confusions that would sometimes plague his performances (evidence of his proud boast that he did little practice). His Bach has a peerless lightness, grace and natural beauty, the reverse of Teutonic earnestness and heaviness. The Andante from the Italian Concerto, a tirelessly ornamented aria, is given with an enviable poise and lucidity while in the Gigue from the First Partita his playing is, again, the opposite of a more familiar cold-hearted virtuosity, making you regret that there are only excerpts from this exquisite masterpiece. In the Fifth Partita (given complete) Gieseking shows the most subtle virtuosity and is no less convincing in the Sixth Partita’s more strenuous and concentrated demands. This is Bach-playing to listen to every day, fresh, spry and well modulated. If spirituality is to be found in The Art of Fugue, Aimard seems to say, it will not be through slow tempi, dynamic extremes or the quasi-religious trappings arrayed by the likes of Sokolov, Kocsis, Koroliov and Nikolaieva. The tripping, French swagger of Contrapuncti 2 and 6 and the smart Italian cut of No 9 fit neatly under the fingers. Freedom is found within the interplay of voices rather than any fancy phrasing: in fact the mirror fugues and canons are so unfussily done that you’d never guess without a score to hand how much a single musician can look and sound like Mr Messy while playing them. Did Bach really leave ‘Contrapunctus 14’ of The Art of Fugue unfinished? Two scholars think otherwise. Christoph Wolff argues that the composer ‘planned to stop where he did’. And Hans-Klaus Jungheinrich, believes that ‘the fugue is imposing enough to be a plausible climax’. The Keller Quartet, playing modern instruments, are indeed imposing, but the marking alla breve indicates a need for more vitality – which Fretwork offer. The wide variation here exemplifies the absence of tempo directions for the 20 pieces that comprise this work. Performers are expected to relate speed to time signatures without other guidance; and Fretwork’s judgements are difficult to fault. Turn to the ‘Canon alla Duodecima’, or alternatively ‘Contrapunctus 9’, where the required swift pulse does not preclude expressive articulation; and then to ‘Contrapunctus 10’, where four-in-a-bar is reflected in a slower pace that also allows more space for a keener, but not overt, subjective response. Indeed, throughout their idiomatically phrased, impressively cohesive and clean-textured exploration of the work, these thoughtful musicians don’t italicise anything. One of the world’s brightest Baroque ensembles performing with one of the world’s most admired Baroque sopranos sounds an enticing proposition‚ and so it should. 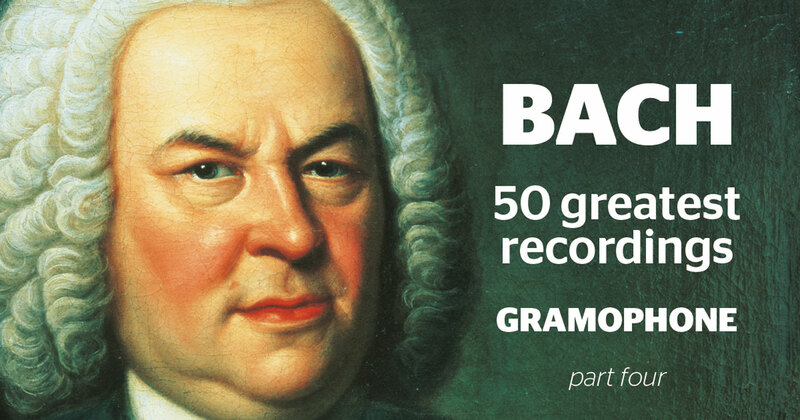 What is more‚ the solo cantatas on offer here are two of Bach’s most moving: Ich habe genug‚ that serene contemplation of the afterlife; and Mein Herze schwimmt im Blut‚ a relatively early work with a text which moves from the wallowing self­pity of the sinnner to joyful relief in God’s mercy. Each contains music of great humanity and beauty‚ and each‚ too‚ contains an aria of aching breadth and nobility – the justly celebrated ‘Schlummert ein’ in the case of Ich habe genug‚ and in Mein Herze the humble but assured supplication of ‘Tief gebückt’. This aria alone ought to make the cantata a more familiar one‚ but there is plenty more to recommend it‚ including a grief­laden first aria with obbligato oboe‚ a dignified chorale with obbligato cello‚ and recitatives whose expressiveness is enhanced by stoical string accompaniment. Both could have been written for Emma Kirkby‚ who‚ thrillingly virtuosic though she can be‚ is perhaps at her best in this kind of long­breathed‚ melodically sublime music in which sheer beauty of vocal sound counts for so much. Not that technique does not come into it‚ and Kirkby’s allows her to shape vibrato­less long notes and phrases with utter security and ravishing vocal quality‚ with only the occasional high note sounding slightly pinched. Above all‚ however‚ her intelligence and unfailing attention to text are a lesson to all; in ‘Schlummert ein’‚ the way her voice subsides almost to nothing‚ retreating into the orchestral texture at ‘fallet sanft’ (fall asleep)‚ is entrancing.